Dylann Roof Has Been Sentenced To Death. Now What? Dylann Roof is the self-described White Supremacist who murdered nine parishioners after bible study at the Mother Emanuel church in the Summer of 2015. At the completion of his two-day federal trial, which felt more like a preliminary than a necessity as Roof had already confessed to the murders, he was sentenced to death. Now that the bodies have been buried, the church has been repaired (at least from a physical standpoint), and Dylann has been condemned to death–where do we go from here? 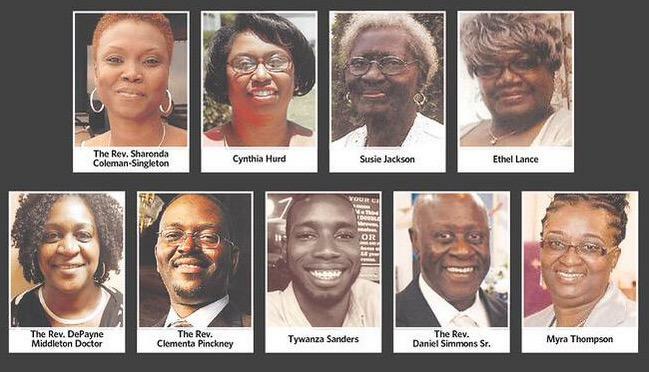 It’s a question I asked in the immediacy of the murders during my time as a columnist at the Charleston City Paper. In my column entitled ‘Unity’ is an Easy Word to Say, but Fostering True Diversity is Difficult, I wrote about how loosely the word unity had been thrown around and wondered if we (the citizens of Charleston) were really interested in making that happen. Make no mistake, moves have been made. Strangers have turned into friends and allies. On a personal note, I’ve been blessed to work with many people whom I did not know before these tragic events, to affect positive change in our community. People like Shaundra Scott of the South Carolina branch of the ACLU, Ali Titus of the Center for Women, Cathryn Davis Zommer of Enough Pie, and Kat Morgan of ChangeAbility Solutions have all proven to be committed to the fight against all forms of social injustices. Ironically, had it not been for Dylann’s actions, I may not have had the pleasure of meeting any of these people. You can see this trend reverberated around the city as many organizations have forged new partnerships with people they had little to no interaction with previously. For example, Local Lowcountry First’s community relations manager Larry Downey has done a great job of actively recruiting black-owned businesses, that align with their mission, to be a part of their wonderful organization. The Charleston Music Hall’s Director Charles Carmody has started actively booking talent and hosting events that appeal to demographic groups outside of their normal clientele, and the Charleston City Paper’s new editor Kinsey Gidick has replaced my open position with another person of color so the paper would continue having a black perspective on tap. Even local governments, like the city of North Charleston’s police department, are taking steps to be more involved with their community and transparent in their processes. While these may not be considered landmark moves by most, I believe they are worth nothing because they are happening. We just need to figure out how to multiply the little work that has been done into something bigger. It’s something we here at the International African American Museum are looking forward to being a part of in the coming future. We are interested in hearing what you, as an individual or member of a larger group, are doing to build upon the progress of others and how we can be of assistance in that regard. Previous post Is Kanye Okay? : Black Culture’s Relationship With Mental Wellness.